This Is Why We Podcast! Michael Rapaport aka The Gringo Mandingo aka Scoop Rapaport aka Bird aka White Mike opens up SOLO off the top to discuss: The Nature of Show Business, Firing his fuckboi agents, Breaking Uncle Paulie’s Balls in Beverly Hills, Being on Undisputed with Skip & Shannon plus The Herd with Colin Cowherd, Getting his Standup Comedy Sea Legs, 2018 Being Done, PETA Needing to Lighten Up, The Rapaport Rule on Instagram, Mark Zuckerberg Gets Aiello’d, Cardi B & Offset Breaking Up Being National News, Lena Dunham Being Nuts, Lance Armstrong The Liar & Alex Rodriguez The Cheater, The Sweet 16 to Sweet 6 of Sick F*cks of the Year & Sick F*cks of the Week & more. Then it’s an Honor & A Privilege to have Paul Scheer (Actor: The League, Black Monday/Podcaster: How Did This Get Made? 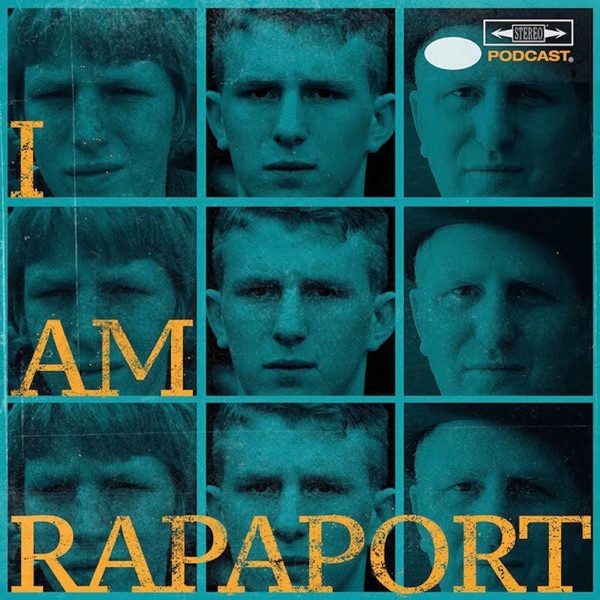 & Unspooled) with Michael Rapaport on the I AM RAPAPORT: STEREO PODCAST to discuss: The League & if he plays Fantasy Football THEN The START of RAPAPORT ROCKY CHRONICLES with: Creed 2 Review, Rocky being bigger than a movie & his character being so well defined, Watching all the Rocky movies in a week’s span, Michael being in Chuck, “Rocky Balboa”, Rocky 2, Rocky 5, Rocky Fun Facts, The Rocky Zeitgeist, Separating the Rocky’s, Paul’s Beef with Rocky 1, Sylvester Stallone’s Early Career, Rocky Trivia, Paulie & Adrian, Casting, Steadicam work in Rocky 1, Working with Stallone on Copland, Each Rocky movie being right for the time, The Retirement Post by Sylvester Stallone & a whole lotta mo’! This episode is not to be missed!